SANTA ANA, CA – Precision Manufacturing Insurance Services (PMIS) opened its Orange County office on November 1, 2017, located at 1820 E. First St. Suite 420, Santa Ana, CA 92705. This expansion answers the strong demand for available expertise and support in addressing the complicated insurance needs of manufacturers. “Our new Orange County location extends PMIS’s culture of being local and tangible to its clients and allows us to deliver extraordinary service in assessing the insurance and risk management needs of manufacturers throughout California,” announced President of PMIS, Michael Dochterman. The expansion coincides with the 2017 launch of ManufacSurance™, an exclusive insurance program developed specifically for manufacturers and metal service centers. Partnering with an A+XV rated insurance carrier, and listening to the needs of manufacturers, PMIS designed this California Exclusive program. “The manufacturing industry is changing, and we are excited to be changing with it! 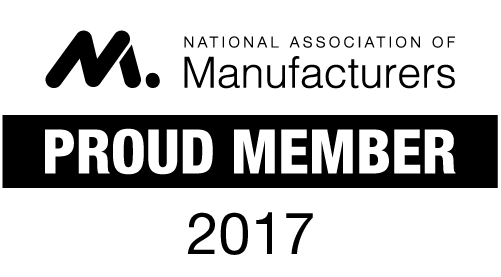 We continue to ‘Protect the Future of Manufacturers’ by providing our clients various business solutions to make it easier to do business in California, including offering coverages that focus on the risks unique to manufacturers,” stated Mr. Dochterman. Specializing exclusively in Manufacturer’s Insurance – PMIS a team of seasoned insurance specialists whose focus is solely on protecting manufacturers. They are not a generalist insurance agency or broker. All of their clients are in manufacturing and related businesses. PMIS typically works with an operation that has between 10 and 125 employees and does between $1 – $10 million in revenue. Many of their clients are multi-generational, who want to protect their legacy and family assets and perpetuate their business with continued sustained growth over the coming decades. Precision Manufacturing Insurance Services (PMIS) is committed to helping manufacturers continue to be a driving force by protecting all that is important to them and providing solutions that positively affect the bottom line of the companies that they serve.